Infections with orthopoxviruses usually lead to cross-protection among all species of the family. This has been a prerequisite for successful eradication of smallpox. Here we report the rare case of a 17-year-old male, who survived a generalised cowpox virus infection of unusual severity but surprisingly did not show a proper seroconversion. Only a very weak antibody production was observed in early and late serum samples, which initially appeared to be cowpox virus specific in immunofluorescence. No neutralising antibodies were detected and in Western blotting antibody specificity was restricted to the orthopoxvirus H3L protein only. The patient had been hospitalised for alcohol and cannabis intoxication 2 months prior to the orthopoxvirus infection and high levels of cannabinoids have been found repeatedly in the urine and upon one occasion also benzodiazepines. As these substances are known to interfere with antibody production and no immunodeficiencies were detected, drug-induced immunosuppression can be suspected as the most likely cause. 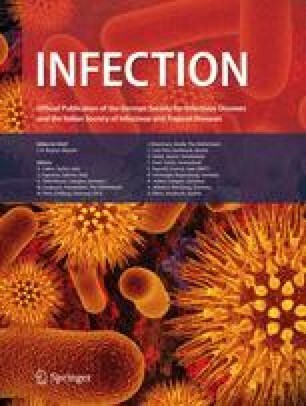 Therefore a possible link between “soft” drug use and sufficient immunosuppression to warrant alterations in vaccine policies using live virus vaccines like smallpox vaccine should be further studied.